I had to offer them. So if that is my informal policy, why not make it formal? 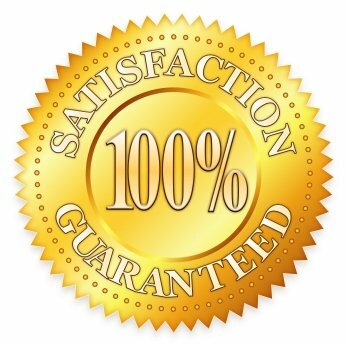 If you are not satisfied with what I offer, I’ll give you your money back. To be honest, knowing that I could re-coup a lousy speaker’s fee would be the least of my worries. (Let’s face it, if you’re planning even a small meeting you have some huge investments OTHER than the speaker to make.) If I were you, I’d be more worried about whether my speaker can deliver. I’m just saying that I’ll do both. Looking for a motivational speaker and want a guarantee? I’d love to be your guy. Contact me here. https://www.bradmontgomery.com/wp-content/uploads/2018/11/logo-1-495x198-1-300x120.png 0 0 admin https://www.bradmontgomery.com/wp-content/uploads/2018/11/logo-1-495x198-1-300x120.png admin2009-01-28 14:07:322016-11-04 19:29:04Is Your Motivational Speaker Guaranteed? Howdy Folks! I’ll be your keynote speaker speaker for the Big Shin Dig on Feb 12th at the Lincoln Center in Fort Collins, Colorado. I’ve been a motivational humorist speaker here in Colorado for years, and absolutely pleased as punch to be part of your event. What can you expect? You can expect to laugh and have a great time. And because I’m a magician you can expect to see a magic trick or two. But most of all, you should expect to be reminded to take yourself less seriously — while still taking what you DO seriously. You can learn more about me over at main site. I look forward to being part of this event, laughing with you, and reminding each other in a very fun way to lighten up. https://www.bradmontgomery.com/wp-content/uploads/2018/11/logo-1-495x198-1-300x120.png 0 0 admin https://www.bradmontgomery.com/wp-content/uploads/2018/11/logo-1-495x198-1-300x120.png admin2009-01-27 10:12:152016-11-02 08:17:15Realtors: I'll meet you at the Lincoln Center! 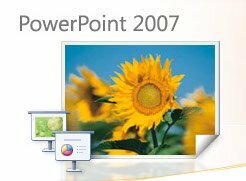 Powerpoint has to be one of the most overused and abused tool ever invented. Lousy, uncreative and lazy presenters mistake good slides for a good speech or presentation. My point? Even though you have a “professional” Powerpoint presentation, you still are a mediocre (at best!) speaker. Ok, maybe not you. But everybody else reading this blog. looking at your slides they are not looking at you. That’s fine if you’re selling your slides. But professional speakers need to sell themselves and their messages, so this PowerPoint-as-the-Center-Of-A-Program phenomenon is a disaster. Here’s the moment you know your speaking career is going down the drain: somebody asks you for a copy of your slides. If your slides can stand on their own without you to make sense out of them, you’ve designed your slides and your presentation wrong. Check out this hilarious video about lousy Power Point. This guy is right on. I am a proud member of the Mile High Magician’s Society. We are a group of magicians — professional, amateurs, and simple magic fans — who meet regularly to celebrate, teach and perform magic. I’ve been a magician since I was a kid. But I my journey didn’t really start until my mom and dad brought me — after much begging and pleading — to the magic club that met at least 40 minutes from my home. There I saw magicians of all shapes and sizes, of varying skill levels, and from very disparate backgrounds joining together to “magish.” I was hooked. And still am. 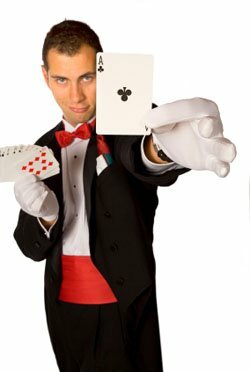 I was one of the many Colorado magicians who performed last night at a meeting of the club — and was reminded how much I like it. As I become more deeply involved in the professional speakers’ world, I’ve tended to let the magician side of me grow still. But after last night, I’m buzzed and hooked again. One of my favorite reasons for loving this magic club is that it makes me — as a magician — feel as though I’m part of something greater than myself. Magicians have a rich and fabulous history. But so too does our Colorado magician club. And performing on the same stage (if you can call it that!) as magicians I’ve emulated, grown with, and performed with for years made me feel like I was part of something special. My point? Find your passion, and then find a corresponding organization to join. It’ll make you feel like you’re part of a rich tradition. Are you a Magician? Then for crying out loud join a local club (Society of American Magicians or the International Brotherhood of Magicians.) Or if you’re from Colorado, by all means contact me and I’ll hook you up with our club. Check out some (admittedly amateur) footage of the show last night below — you’ll see that we had fun. You’ll see how casual it was, and that we enjoy each other. And that we all love magic. No idea what I’m talking about? Follow me at the micro-blog site Twitter. Blog Carnival! Better late than never, right? To satisfy your insatiable need for humorous anectdotes, I’ve opened the floodgates and scoured the web. As result, not everyone is technically aware that they’re participating in this edition but as soon as they find out, I’m certain that they’ll be flattered, overjoyed and innundating me with posts for future editions. Without futher ado, may I present “Humor in the Workplace” resolution style. ‘Cuz that’s how we roll! morning session, the attendees grabbed a box lunch, went to their seats, ate… and waited for – well – me. I got my gear set, was all-systems-go with the audio visual team, and had chatted with the big boss (who by the way had hired me two times in the past.) So far, everything is easy and fun. But here is where it gets hinky. I was about to grab a box lunch… I was starving and was needed calories before I spoke for an hour and a half … when I casually asked the meeting planner if I could have a sandwich. I asked her knowing it was a formality. Of course she would feed her speaker. I nearly didn’t ask. I was wrong. She said, “Oh no, those are for the participants.” I thought she was joking. “You’re kidding, right?” I honestly thought she was joking about not feeding me. “Sorry,” she said. I was amazed. With 450 people there, there just HAD to be ONE extra turkey sandwich. And did she realize what it meant to me and her meeting to turn me down? I was silent. But inside I was somewhere between laughing and crying. What’s the point? I can tell you it isn’t the $8.67 I spent on my sandwich. My point is that this woman was responsible for an event that cost a gazillion dollars and she threw her keynote speaker off-balance because of a turkey sandwich. I didn’t care about the money, I cared that because she was counting her pennies I was inconvenienced, and because of that I wasn’t fully in the game. Instead of eating with the attendees, getting the latest scoop on the convention, and having a chance to go over my program notes I was rushing around trying to find calories that were within reach the whole time. Maddening. Normally I eat with my audience because that’s where I get the last-minute scuttlebutt. That’s where I hear about the most recent stresses, the talk of the meeting or convention, and that’s where I often write some of my best jokes. Not this time. Instead of getting myself psyched up for doing a good job for her, I was trying to make it back to the hotel on time. More irony: The meeting planner was off balance, nervous and upset because her speaker had vanished. Both of us — and the entire audience — would have been better served if I was given a sandwich. 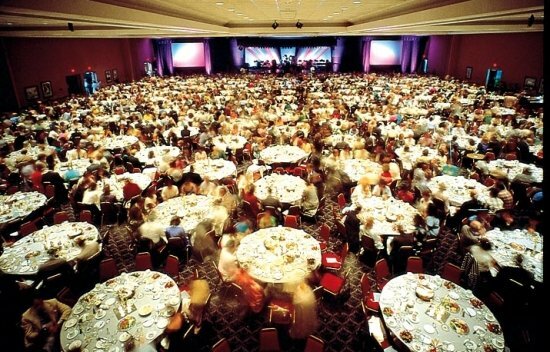 Message to meeting planners: if you are hiring a speaker, do your best to set them at ease. You don’t have to pamper us, (though we love that more than you’ll guess) but it is a good investment to remove as many headaches for us as you can. You want us to be 100% when we hit your platform. So make it easy for us to rock. Oh, and by the way, buy us that sandwich. PS. I asked my client — not the meeting planner but the client — if I could tell this story from the stage. I gave him a brief summary, told him why I thought it was funny and how I thought that there was a lesson in this story for his specific group. He declined and admitted that it made sense but the meeting planner was “highly strung” and he didn’t think she could take it. Oh… telling that story from the stage would have been funny! PPS. Ever had a similar experience? Would you be so kind as to leave it in a comment? land.George Walther is a Certified Speaking Professional (as am I) and is a member of the Speaker Hall of Fame (I’ll be there only in my dreams). 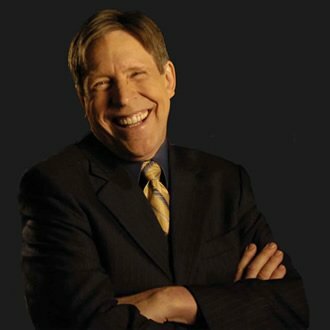 He has a ton of experience, is the author of a handful of business books which have sold who knows how many gazillion copies, and is generally a “big deal” in the professional speaking world. 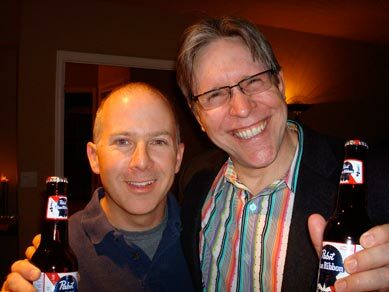 I was just at a convention in Arizona for the National Speakers Association and spent some time hanging with George. What struck me is that in a room filled with plenty of ego (trust me…professional speakers are not short of this commodity) George is the guy that would win “Most Like My Neighbor.” In other words, in spite of his impressive accomplishments, he is totally down to earth, kind, easy to be with, and well — funny. Iin every industry the most qualified people are also the very ones who are easiest to like. And the pompous, self-important jerks are more likely than not to be insecure snobs who often can’t back up their bluster with skill. If you want to act like a big deal, consider doing the opposite. Don’t tell us about your credits, your experience, and your prestigious clients. Just be yourself, and your professionalism will shine through way brighter than if you “act” the part of the pro. https://www.bradmontgomery.com/wp-content/uploads/2018/11/logo-1-495x198-1-300x120.png 0 0 admin https://www.bradmontgomery.com/wp-content/uploads/2018/11/logo-1-495x198-1-300x120.png admin2009-01-04 20:29:302009-01-04 20:29:30If you're good, you're good. I’ve been a motivational humorist speaker here in Colorado for years, and absolutely pleased as punch to be part of your event in May. What can you expect? You can expect to laugh and have a great time. And because I’m a magician you can expect to see a magic trick or two. But most of all, you should expect to be reminded to take yourself less seriously — while still taking what you DO seriously. You can learn more about me over at https://www.bradmontgomery.com I look forward to being part of this event, laughing with you, and reminding each other in a very fun way to lighten up. https://www.bradmontgomery.com/wp-content/uploads/2018/11/logo-1-495x198-1-300x120.png 0 0 admin https://www.bradmontgomery.com/wp-content/uploads/2018/11/logo-1-495x198-1-300x120.png admin2009-01-01 18:13:242009-01-01 18:13:24Aurora Mental Health: Howdy!